Winners for the current outstanding giveaways will be announced shortly! I started my blog to have a place to share my life. The little things that may seem so little in the moment, but really make life wonderful. I love so many things and my blog is the place to share every piece of that. I write about my love for my husband, family, music, photography, fashion, DIY, our recent move to North Carolina and my relationship with the Lord. I share my heart often in hopes that it will somehow bless others as well. I love my little corner of the web and hope you'll stop by and say hello! 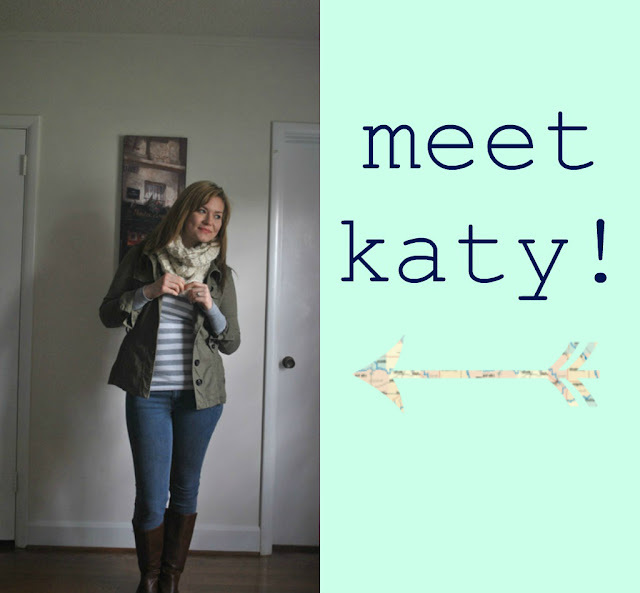 Today, Katy is giving away a FREE large ad spot on her blog AND a custom ad design. Score! Tell us what you'd like to advertise (shop or blog) and why. 2. Follow @ohsweetjoy and @katylove on twitter. I would advertise our blog, thishawksnest, because I think we show marriage and life in a unique way. Katy, your blog seems to embrace the same sort of devotion to the great things in life! I can't believe I'm up at 1:30am and thus the first response...but thus it goes with a babe who's been sick 30+ days straight. I would love to win ad space. I'd love to advertise my blog! I just started it, and it would be great to have an ad! I follow Oh Sweet Joy via Google Friend Connect! I'm a blog follower and I follow both of you on twitter. I would love to win because I just love Katy's blog - I found it last year and lost touch and just rediscovered her. I would advertise my blog, www.thecrunchykindblog.com, just snippets of my simple life!